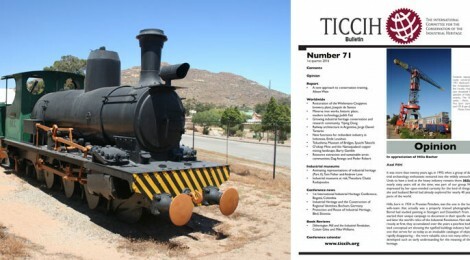 TICCIH Bulletin No. 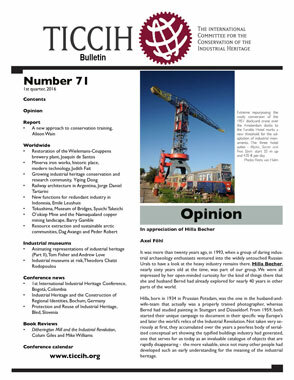 71 – 1st quarter, 2016 published and its link sent to all TICCIH current members on February 4, 2016. To receive the link of the complete bulletin join or renew your TICCIH membership for 2016.